A playable demo for Nioh, Team Ninja’s upcoming Dark Souls-like action RPG, is now available to download on PlayStation 4. Weighing in at a size of 3.6GB, the demo includes two stages from the full game and, according to the demo description, completing at least one stage will entitle players to download the ‘Mark of the Conqueror,’ which grants access to some form of reward in the full release. Whether this is DLC, or some kind of bonus in-game item is currently unclear. Ready to die? Experience an early version of the newest brutal action game from Team NINJA and Koei Tecmo Games. In the age of samurai, a lone traveler lands on the shores of Japan. He must fight his way through the vicious warriors and supernatural Yokai that infest the land in order to find that which he seeks. Nioh is the latest in a series of recent games that has taken inspiration from From Software’s hugely-popular Dark Souls series. Deck 13 Interactive’s Lords Of The Fallen and Ska Studios’ more recent Salt And Sanctuary have both included elements from the Souls series – the latter in particular essentially being a 2D version. If you’re interested in downloading the Nioh demo, you better act fast: it’s only available until May 5, at which point it’ll be removed from the PlayStation Store. 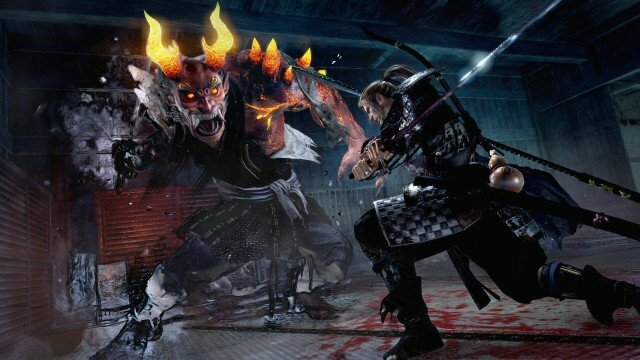 Nioh is scheduled to release later this year exclusively on PlayStation 4.